While the question may sound downright simple, the answer isn’t as easy as it seems. You cannot quantify as to how often should you redesign your business identity. Ask three different designers the same question and you will get three different answers. The only sensible answer to this conundrum is to redesign when the time is right. But here is the tricky part…how does one ascertain that the time is right? Certain brands (mostly FMCGs) require regular tweaking to their design aesthetics in order to meet the changing demands of the consumers. On the other hand some business types demand a stable and consistent approach to all their design aspects in order to maintain their longstanding reputation. Many people have this misconception that redesigning an aspect of business (logo, website, packaging, and stationery) will increase conversions and attract new customers. That’s why they feel they need to redesign periodically. On the contrary, most consumers hate unnecessary changes. 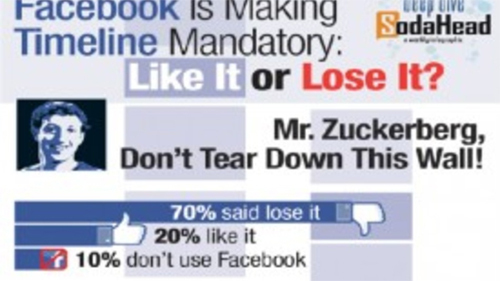 One of the biggest examples of this is Facebook. Just when people start to get the hang of all the complexity of the social networking site, one fine day Mark Zukerberg decides to roll out a change. Case in point is the Timeline feature which was disliked by the masses. When we talk about redesigning a business, there are various aspects like logo, website and packaging. Let’s discuss each of them individually. Okay, first things first…you don’t redesign your logo just because you want to. The hardest part of being a logo designer is to convince clients that logos are created to make an impact on target audience and not for self satisfaction. I’ve come across clients who didn’t need a revamp of their brand identity but strongly insisted on it. You might be thinking why in the world a designer should refuse a project when the client is paying for it? As designers it is our moral responsibility to guide our clients with the right solutions instead of skimming them of their money. When to Redesign your Logo? • When your logo is no longer aligned with the company’s mission, vision and product offering. • When customers are no longer WOW-ed by your brand identity and are bored with it. • When your business has gone through an identity crisis and needs an overhaul to freshen the image. Gap’s logo redesign is a perfect example of why meaningless redesigning is harmful for brand image. The famous clothing brand attempted to revitalize its decades old established image by introducing a fresh logo. The decision backfired badly as Gap was forced to scrap its new logo after massive protests by loyal customers on various social media platforms. A corporate website acts as a portal (doorway) to the company through which users can interact while sitting in their homes. Especially for ecommerce stores and SaaS businesses, website layout are pretty much everything. For a website redesign to be effective, it must take into account the current website condition and how user needs have altered since the last redesign. A better way than redesign is to realign your website by making small changes in the user interface. Famous brands like Google, Yahoo and Amazon have followed this approach successfully. One can barely notice any apparent changes on their websites. Similar to a logo, there are no preset timelines to revamp your website. You just need to wait for the right time and necessary requirements before implementing a complete overhaul of your site. The question of ‘when’ is more important than how to design a website, logo or other graphics. Following signs are also helpful in identifying the need for a web redesign. • When your website is taking too long to load. • When the bounce rate of your website is high, meaning people don’t stick around for more than one page. • When the user interface of the site can be optimized with improved technology for added experience. • Your website is no longer compatible with newly invented technology platforms. Last year, Yahoo Sports (one of the most visited sports website alongside ESPN) took a gamble by revamping its website interface. The result proved catastrophic as scores of Yahoo Sports loyal visitors raged their anger and grief over the redesign. 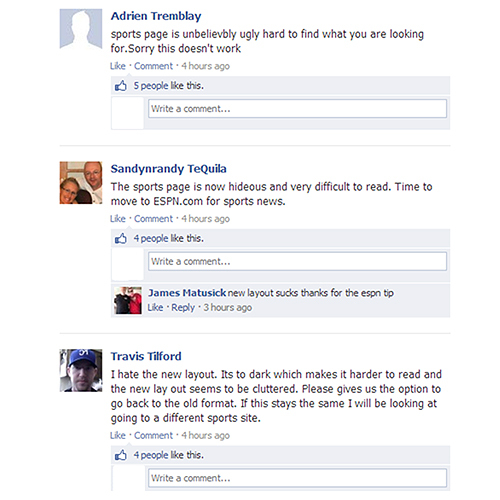 Almost each of the 40 million users vented their fury on the Yahoo Sports Facebook page. Some visitors even ended up leaving Yahoo Sports page for its competitor. Check out some of the screenshots of user comments. The role of packaging in overall branding is similar to the effect that clothes have on the human personality. What we wear defines who we are. Similarly the kind of packaging your product carries defines the personality of your business. The hallmark of a successful packaging design revolves around three salient features, design aesthetics, deliverance of message and legibility. If your packaging meets these three criteria, then you have nothing to worry about. When to Redesign your Packaging? Packaging is one of the few marketing aspects that can be altered with relatively more ease. However, the timing and purpose of redesign is imperative otherwise you might end up losing customer interest in your product offerings. Following are some factors that determine the need for a revamp in packaging. • When there are newer and better ways of packaging your product that offers increased safety, ease of use and hygiene. • When your product has altered in a manner that warrants new packaging. • When new regulations or bylaws require you to implement the change. • When customer insights or surveys suggest that your product appearance is no longer in sync with the tastes and preference of your target customers. 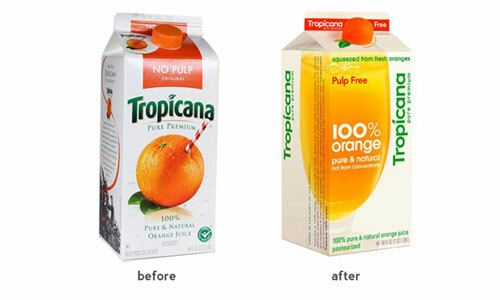 If we were to list the biggest packaging redesign disasters, the name Tropicana would top the charts hands down. A renowned juice brand and subsidiary of PepsiCo, Tropicana launched its packaging redesign that saw its sales plummet 20%. Even though the revamp was administered by Peter Arnell, the design failed to live up to the expectations of its customers. The brand was forced to bow down to consumer demands and rolled back its old packaging design. In a nutshell, the process of redesigning any aspect of your brand requires careful deliberation and solid reasoning. Do take the perceptions and feedback of your target audience into account before indulging into a long-haul redesign process. You cannot go on rebranding your business (logo, website or packaging) just because you feel like it or it has been a long time or you have got bored with your design. Whatever the reason you may have for a redesign but just make sure you have a valid answer to “WHY”. Do take the perceptions and feedback of your target audience into account before making any move on this front. Remember, one good or bad move could make or break your business. Be sure to tap into your target audience and gain some insight before boarding onto the bandwagon. If one of the factors you use to gauge your customer’s interest is showing a downward swing or trend, it is perhaps the time to stop and think! So, before you START redesigning, you should know when to STOP. We have received responses from business owners and designers on how often a business should rebrand or redesign their offering, below are comments. If you would like to contribute, please feel free to comment! You may redo the look of your brand to update it. But totally rebranding is dangerous unless you have changed careers. When to stop? I feel like this this the decision of the designer or company. If the designer or company feels that they need to redesign the logo because they want to keep up with the trends. It is not a bad thing, if they want a redesign of their current logo. Only if they feel it is necessary if you feel your logo is ancient. Simultaneously I feel like they will lose their identity, and purpose behind the design or redesign of a logo. The internship, I interned for recently. They redesigned their logo because they did more than just film commercials so they wanted a logo that represented that. In addition, it is only their second logo, in contrast to how far the company or designer wanted to take it that they don’t know when they are destroying their logo instead. I agree with how the customers are always right in business, I loved the iconic GAP logo, in contrast to their new one. GAP did not need a redesign because everyone recognizes GAP in a box. But what’s GAP with a small box suppose to mean? Clearly when you design or redesign and go too far. It would affect the sales or how clients etc., view this change. @MHuang51491 Why change something that everyone recognizes as the #identity of the company? I don’t if it’s about the generation some logos can just stay they way they are (i.e GAP).They are iconic, that everyone recognizes like Nike, North Face etc. Year after year, once you create the logo that represents the identity of the company or even you. That essentially become their trademark and if you attempt to even change it. It might affect the sales of the company like GAP. So why change something that everyone recognizes and acknowledge as the identity of the company. Like how people don’t like the new Yahoo! logo, I don’t like that shade of purple the old one was fine. I think it has to do with the latest trends as well. Take a case of Google and Microsoft, both came up with a logo which was flatter keeping with latest trend of adopting flat design. Who knows what really works and indefinitely at that? Everyone has valid reasons/opinions. I think longevity in commitment to a vision is what Branding is all about however, small tweaks can be all that is required to keep up with ‘trends’. If the logo for instance makes you think of the the 90s, then it might be time to make at redesign. Unless if the company or brand in some way associate the 90s with their values. You normally wanna avoid a timestamp. A timeless logo design is typically what you should go for. I think it’s a good idea to aim for a logo strong enough to work even in black and white. No gradients, shadows or sparkling effects. Then you can style it from time to time with the trends, but still building on the fundementals of the logo. I rapidly made this example based on the same ground shape. 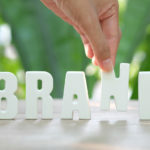 Redesigns and rebrands don’t always work, but brand development can enhance an entity. 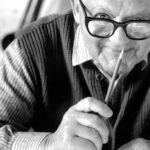 Audiences and clients grow trust in a brand, and a change in branding or design can sometimes lose this trust, as your audience asks why has the entity changed, and what else has changed etc. I suppose it’s worth asking what is driving the wish to rebrand or redesign, is it the audience, or are the entity owners just tired looking at the same design, or worse is the entity struggling to grow but instead of asking the hard question of how must we change as an entity, they simply think a redesign or rebrand will solve the problem. We all know that painting over cracks doesn’t really work. I’m in favour of consistent/subtle tweaks in 9/10 cases assuming the #brand is good to start w/. I am in favour of consistency and subtle tweaks in 9 out of 10 cases assuming the brand or design is good to begin with and has gathered trust from an audience. Look at the Shell Oil logo over the years, I often use this example but it’s a good one. 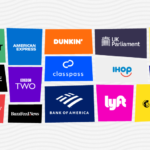 A brand that continually redesigns and updates within a short period of time doesn’t come off as trendy and fresh, but rather as schizophrenic, disorganized and unstable. Your brand is how your customers identify your company at a glance. Too many changes, too frequently leaves your clients wondering where you went and whether or not they’re dealing with the same company they started with. Naturally, well established identities can update and change with the times, but even those changes are subtle and spaced out over decades. Just think of the uproar that Pepsi’s rebranding caused. And what is really the difference? A minor tweak to the weight of the line going down the brand’s familiar circle icon, and a change of typeface. It’s now accepted and we’ve moved on, but this is an example of a company that has been known and loved for generations! It’s certainly not a bad thing to update the collateral and web design where style has become a bit outdated. But a well designed brand/logo should be timeless and only require the most minor updates as time moves on. I like the definition of a brand as the promise of value that a product makes to its customers (credit to William Arruda). Strong brand equity is slow to build and fast to go. If a brand is not true to its promise, consumers get confused, angry, and the brand loses credibility and appeal. Strong #brand equity is slow to build and fast to go, says Wendy Mantel. Re-branding due to a product’s failure to deliver on its promise is a whole other bowl of cherries, too complex to get into here. Good article. THINK first and test if you can. Interesting and informative blog. This is the time to think about timeless logo. The article was quite informative.You have a great blog.